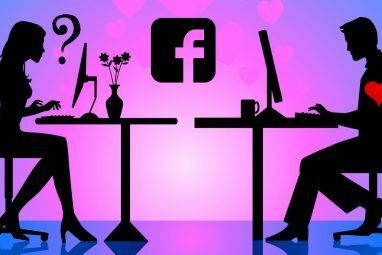 I will hedge my bets on Facebook and understanding its sometimes arcane privacy settings, but Facebook is one of the ways to share photos and videos privately 4 Ways to Share Photos and Videos Privately With Your Family 4 Ways to Share Photos and Videos Privately With Your Family Sharing photos in no longer a big deal. Whether you’re an Internet addict or just own a computer, you shouldn’t have any problem sharing your digital photos and even your old films with the world.... Read More with family members. It is definitely one of the reasons why mobile photography Is Photography Dead? 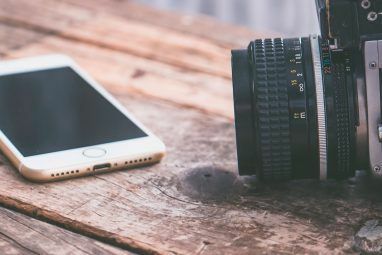 The Mobile Photo Explosion [INFOGRAPHIC] Is Photography Dead? The Mobile Photo Explosion [INFOGRAPHIC] It seems like only yesterday that I was taking my camera film to the store to be developed. Then I would return a few days later to discover that I had messed up a lot... Read More is so popular today. That’s why Facebook gradually brought in changes to the way we upload, view, and share photos. The Photo Viewer with the Lightbox (inspite of an unflattering welcome) has stayed on and grown on us. High-resolution photos are very welcome, thank you. The eight time increase in dimension has made for a much richer experience. Though, it still hasn’t made Facebook the hot destination for professional photographers Learn Photography: Connect With Top Photographers On Google+ Communities Learn Photography: Connect With Top Photographers On Google+ Communities Finding inspiration for photography is never a problem on the web. But even when we are taking in all we can, we shouldn’t forget the real-timeliness of social media and its natural give and take... Read More , it’s definitely better than the Facebook of old. 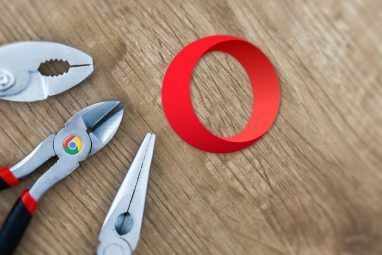 I like my photos, and that’s why my Chrome packs extensions that make for a better photo experience 7 Cool Google Chrome Extensions For The Guy Who Likes His Photos 7 Cool Google Chrome Extensions For The Guy Who Likes His Photos Read More . The latest Chrome extension to join the tribe is Photo Zoom for Facebook. Let me tell you why. FB Photo Zoom – Is 2 Million Plus Downloads A Reason Enough? The small fact that Photo Zoom for Facebook is on our Best Chrome Extensions page was just the first nudge. The statistical fact that it has racked up 2 million plus downloads on the Chrome Web Store was the shove. Frankly, that’s quite a score for an extension that claims to be the best way to view photos on Facebook. My preferred install before this extension came into my crosshairs was Hover Zoom. Hover Zoom helps to enlarge photos across lots of photo sites like DeviantArt, Pinterest, Flickr, and Facebook. Photo Zoom for Facebook as the name says is for Facebook alone. So, if you love viewing photos on a range of sites, I would say – plonk for Hover Zoom. 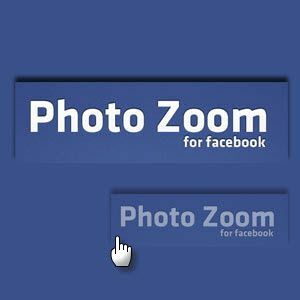 But if your second home is Facebook, give Photo Zoom a try because it is specialized for the social network. Photo Zoom for Facebook was earlier called FB Photo Zoom. It’s the same deal if you used the earlier avatar, except in name. Now, you can also call it PZ4FB. The functionality is simple – hover your mouse over any image or thumbnail (for instance, the profile thumbnail) and the Chrome extension enlarges it for a better view. There is no right-clicking or clicking anywhere else…it is seamless and tightly integrated into your Facebook browsing experience. Looking at images in their enlarged forms with just a mouse-over might not seem like a big deal at first. But try it out on a succession of images and you will get the point. It saves a heck of time. You don’t have to click and open the images in another tab just to see the larger high-resolution versions. Photo zooming then and there is also productive if you have a slower connection. Photo Zoom also fits the zoomed image perfectly on the browser page. The zoomed image is not cut-off at the edges and ends, and you get the photo in its full glory. Understandably, it blocks the page underneath, but the extension is so lightweight and speedy that you can mouse-over and mouse-out in a second. Photo Zoom has an option to enable or disable the caption underneath the photo in the zoomed view. I would recommend that you keep it on. The above screenshot shows you all there is. You have to restart the browser to make any changes effective. You can’t do it on the fly. It’s better to keep the Zoomed Opacity to 100%…any less doesn’t make any sense because why would you want to see an enlarged translucent image in the first place. It would have been a great feature if there was some way to change the opacity on the fly so that one could see the text underneath. But that’s not possible here. Keep in mind the shortcut keys to toggle the extension. The speed of the extension sometimes comes in the way as images enlarge in a split second and prevent you from reading content on the page. So, use the toggle shortcut to keep the extension subdued till you need it. You can also set the two modifier keys mentioned under the toggle control. For some reason or because of Facebook’s own, Disable Facebook’s “Photo Theater” didn’t work for me. I couldn’t figure out the reason, so if it does work in your case do let the rest of know in the comments. If it’s a bug, the developer can look into it. Photo Zoom for Facebook is a lightweight extension. Memory consumption is average…just on par with other popular extensions like Pocket and LastPass. Over a course of time, the time you save by not opening each image in Facebook’s Photo Viewer or separate tab really adds up and then you will start appreciating the must-install angle of this extension. Give FB Photo Zoom a hover and tell us if it will find a place on your Chrome extensions list. If not, do you have a better option? Explore more about: Facebook, Google Chrome, Photography. I have downloaded the latest FB Photo Zoom and it will not work wit my Firefox ( i use the latest version) I can´t find the setting like in Chrome. What´s wrong? i don't know how to get it downloaded or installed on my chrome . can't find any string to click , any help ? Well, it is just a Chrome extension which installs the normal way. Are you getting an error. I have learnedd so much from "Make Use Of"...one amazing tech site for me. Thanks for the mention Marko. Will check this one out too. Looks good. Actually, this is malware and I receive many emails from users who believed they've installed the real Photo Zoom for Facebook. The real Photo Zoom for Facebook used to be called "FB Photo Zoom" when it was only on the Google Webstore. Due to its popularity, fbphotozoom.com was purchased by another in an attempt to fool users into installing it over the real extension (you can see on that site it's the same cookie cutter as "GoPhotoIt." Unfortunately, it also installs mal & adware alongside itself (oddly, the "Norton Verified" on the site is for the website, not the extension). I take it as a compliment someone has gone through so much effort to mimic my extension (even copying the logo nearly identically), but it stinks for the users who install it unsuspectingly. I hope to have a new version soon that faster and takes advantage of some of the new interface changes Facebook is and has been making. Thanks Regis for dropping by. Any changes for Chrome to go along with the Firefox update? Oh yes, the updates will be on Chrome first (the largest audience), then on Firefox and Safari later. Faster, pre-caching and I'm looking into account integration for more details about the photo. Plus some bugs and things you've noticed like the Theater Disabling, etc.